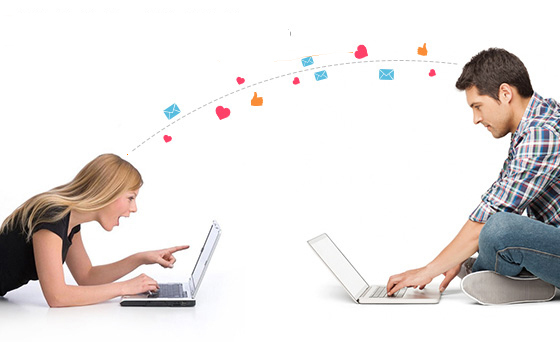 Online dating has become very popular in the modern world. This is another opportunity to find your soul mate and not be lonely. After all, everyone knows that love gives new vitality and energy. Love is what makes us all happier, kinder and more merciful ... It's not for nothing they say, love will save the world. But still not all single people decide to get a profile on the dating site. Many will find this a desperate measure, someone is ashamed to tell friends about it, and someone just fears scammers. Let's find out how much the online space is an auspicious and quite intrepid place for starting a serious relationship between two people? According to statistics, 1 out of 5 dating starts online. This applies not only to dating sites, but also social networks. Knowing about the attendance of social networks, you can imagine how many people are tying relationships on the network. Online expands your geography, which means your opportunities. In the modern world, you can get acquainted with a person from any country and even the planet without leaving home. And this expands your opportunities to find a soul mate. After all, no one knows where the fate hid it: in the next house or on the other side of the planet. Today we can simply filter through the cities new contacts and get to acquainted though with foreigners, though with neighbors. Online dating is very convenient, because it does not require much time or money. Women who take care of themselves, well aware of how much time and effort it takes to prepare themselves for a date. Men also need to take care of the fact that it has always been "for what" to treat your girlfriend in a cafe. In an online chat, you can just as well get in touch, get to know each other better, and only then - if everyone is happy - go on a date. Selection of the partner according to the desired criteria. On the dating site you have the opportunity to choose a partner by many criteria: starting from age or education and ending with the growth or color of the hair. Imagine that for Mr. X, the ideal partner was always tall brunettes and necessarily with higher education. Agree that online he has a much better chance of finding his ideal than to meet him in real life. More chance to succeed. During dating in real life, many experience fear or doubt. This is a natural reaction, because a person is worried. But alas, all this greatly affects the success or failure in the eyes of the interlocutor. When you start a new acquaintance on the Internet, you always have time to think things over. Starting from a thorough filling in the questionnaire and ending with answering incoming messages or letters. Everyone who wants to meet their soul mate - on the street or using the Internet - needs to remember one simple rule: the more you open before you the opportunities for dating, the more people you will meet. And this or that single to notice already will not be difficult - listen to the heart, it will tell.